Manufacturer of a wide range of products which include woven bag printing machine, multi colour flexographic printing machine, hdpe bag printing machine, woven fabric eight colour flexographic printing machine, rice bag printing machine and paper cup printing machine. 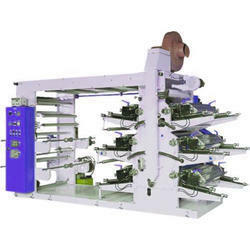 Our skilled professionals manufacture Woven bag Printing Machine from high quality raw material and latest technologies. 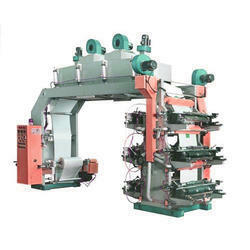 Our offered machines are thoroughly checked by our quality inspectors against various parameters. Apart from this, the entire range can be customized as per the specific need of the client. 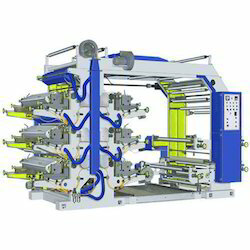 We offer Multi Colour Flexographic Printing Machine to our clients. Our skilled professionals only utilize fine quality raw material, while manufacturing the entire range. Moreover, our offered range can be availed in various technical specifications, as per the requirements of our esteemed clients. We are offering Printing Machine for HDPE Bag which are manufactured using high grade raw material, procured from the authentic vendors of the industry at our state-of-the-art-infrastructure. 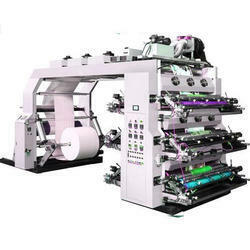 We are one of the leading manufacturers of Woven Fabric Eight Colour Flexographic Printing Machine. Rice Bag Printing Machine is helical gear driven system integrated with micro adjustment mechanism. Our offered range has gained huge appreciation in the market as characterized by optimum performance and reduced maintenance costs. We are one of the renowned firms offering Paper Cup Printing Machine to our clients. In order to offer an optimum quality range to our clients, Cement Bag Printing Machine is manufactured by employing superior quality components and sophisticated technology by our professionals. Our provided printing machine is offered in various designs and specifications, as per the diversified requirements of our valuable clients. 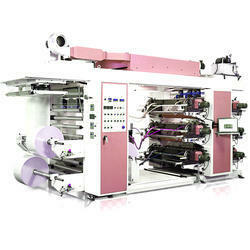 Looking for Multi Color Flexographic Printing Machine ?